AD 255: The Roman imperium is stretched to the breaking point, its authority and might challenged throughout the territories and along every border. One man is sent to marshal the defenses of a lonely city and to shore up the crumbling walls of a once indomitable symbol of Roman power, a man whose very name means war, a man called Ballista. So unfolds an epic drama—a story of empire, heroes, treachery, courage, and most of all, of brutal, bloody warfare. The spectacular flair for explosive action, depth of literary and geographic knowledge, as well as the psychological complexity of the characters makes Fire in the East the most authoritative historical adventure novel this year. 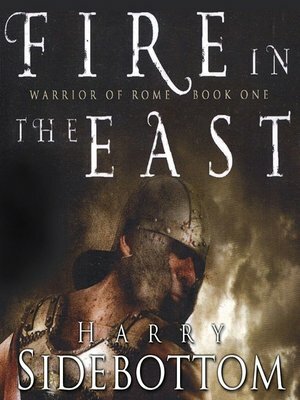 Already a bestseller in the UK, Fire in the East is the first gripping installment in an immense grand narrative—the Warrior of Rome series.